The craft gin revolution has now exploded in South Africa, with more than 50 distilleries and bespoke bars opening almost every month. Gin was once known for being commercially produced in Holland in the 17th century for medicinal purposes, but they soon realised it can become more palatable once infused with juniper. Cheers to the Dutch! 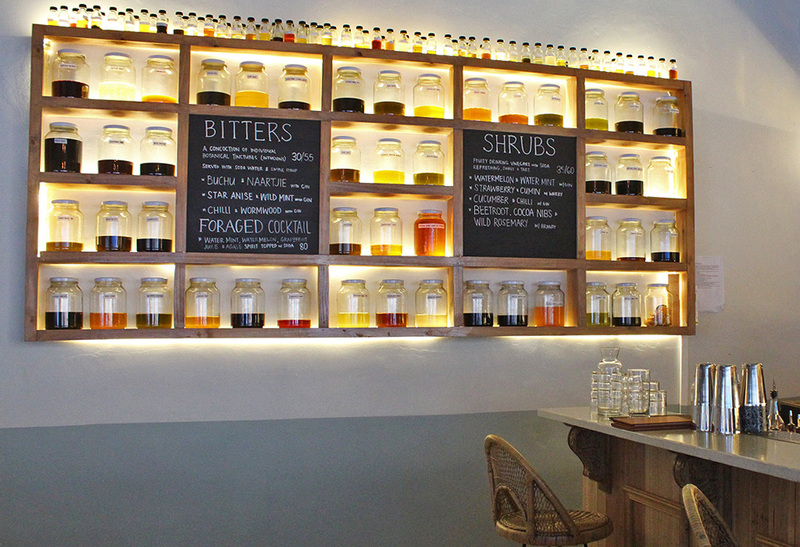 Here are a few must see spots for all the gin lovers out there. The craft gin revolution has now exploded in South Africa. Now we have more than 50 distilleries and new spots are opening almost monthly where you can taste gins or even just sit back and enjoy a gin cocktail. Gin was known for being commercially produced in Holland in the 17th century for medicinal purposes, but they soon realised it can become more palatable once infused with juniper. Cheers to the Dutch! 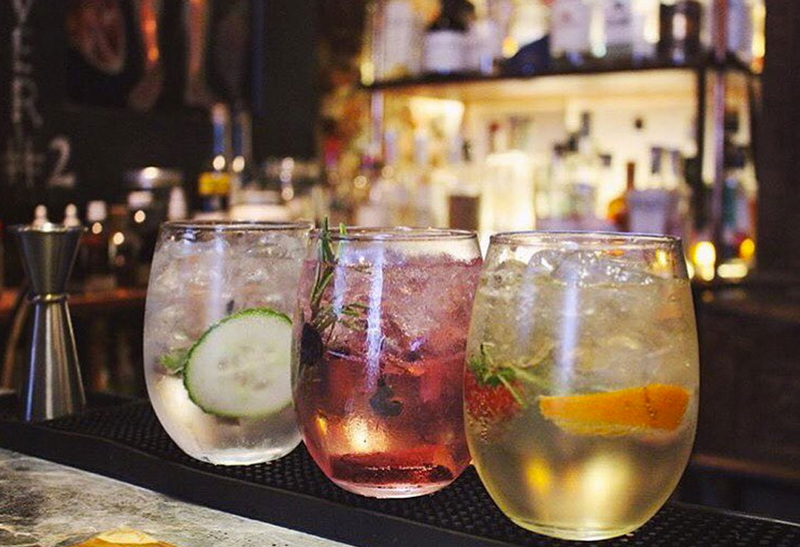 Here are a few must see spots for all the gin lovers out there. 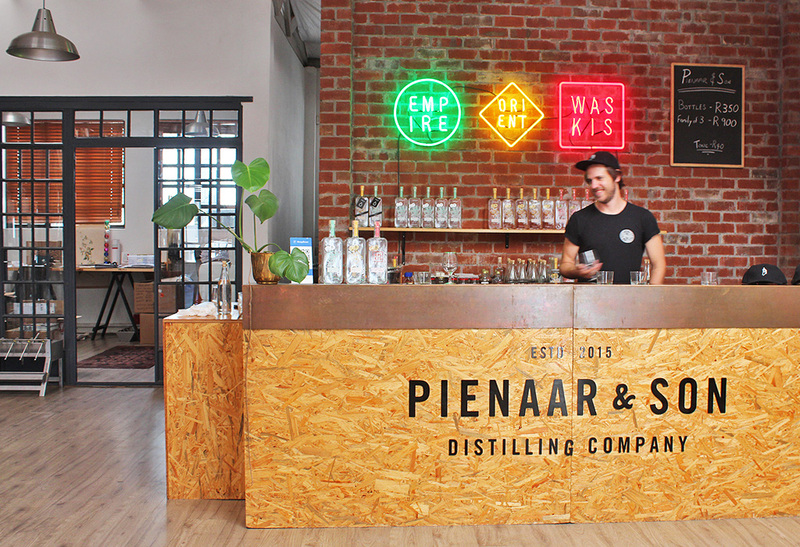 This distillery has the most relaxed and engaging atmosphere I have ever experienced at a gin spot, not only that, but it was also the first distillery to open in Cape Town. Here you can make yourself at home at a long table with your group or cosy up in the corner of the couch. Once you are ready they will bring you either three or four gins in some typical “Alice in wonderland” tiny medicine-styled bottles, served with tonic. You will also get a cool booklet, but the waiters are also really happy to answer any questions. Gin-tastings are held every Saturday between 12:00 and 17:00 (three gin-tasting at R120 per person and four gin-tasting at R150 per person). I highly recommend that you do a booking for the Saturday tasting. 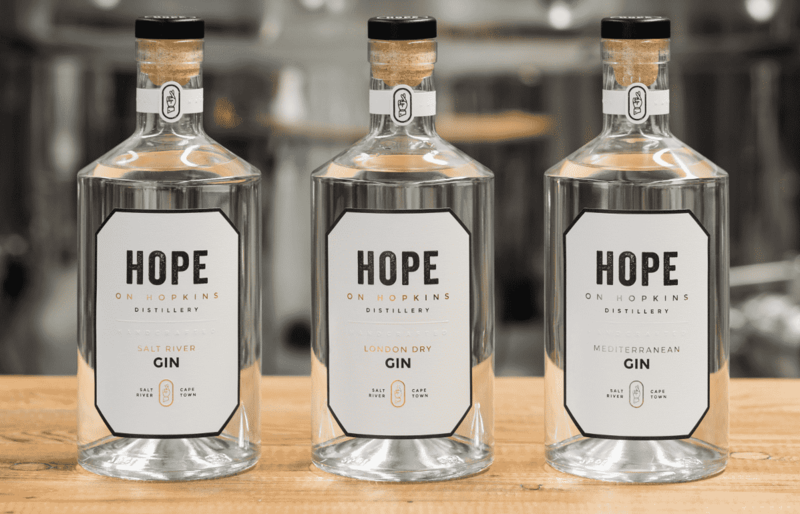 Gin’ing it up since 2016 you can enjoy a tasting of their three gins (of which two are award-winning, if I might add) at their tasting room in Heritage Square. My personal favourite is the hibiscus flowers and rose petals-infused Cape Town Pink Lady Gin, which is named after the iconic Mount Nelson Hotel, but the amazing and outgoing Richard Purce will tell you all about it when you get there. Here you can enjoy probably the most affordable tasting for only R30 on weekdays from 11:00 to 18:00. If you are a steampunk fan, like me, then you will marvel at the hand-built stills at this father and son owned distillery. Schalk Pienaar, who designed the whisky still at Bains Whisky, took his 40 year of distilling technology experience and teamed up with his extremely talented son, Andre, who is the master distiller. Once you sit down for the tasting you will see how much effort and love has been put in this amazing duo project. The bottle itself is a pure piece of art, imported straight from Italy. The give a really insightful tour that explains the distilling process as well as a few sneaky sips to taste their vodka and the two gins. Welcome to hip little bar, cosy and inviting on Longmarket Street, where potions and lotions will tickle all of your sense. Imagine jars filled with colourful homemade bitters and shrubs created from indigenous botanicals lining all the walls and the room filled with various botanicals and dehydrated fruit, along with homemade sugars and syrups. It’s time to get crafty! Here you will create your own tincture with the help of Peter Lebese who has travelled all through the country to learn first hand about shrubs and fynbos and their uses from botanist and even traditional healers. The idea is to create your own style of drink, using the various bitters and shrubs available, but there are various mixes already on the menu, both alcoholic and non-alcoholic. Have you ever tried a naartjie gin ? I would if I was you. One of my personal favourites was Foraged Cocktail made with water mint, grapefruit juice ,watermelon, and agave spirit with soda. One of the country’s only true speak-easy bars, accessed through a Chocolate Café, and nestled within a Mediterranean-style secret courtyard, it is inspired by both the history of the building as well as the history of gin and Juniper. Pop in for a delicious sip or two…or three or four. They also do some pretty cool gin tastings in the Upstairs Bar (minimum six people) where you will learn to identify a myriad of botanical flavours and experiment with different mixers and garnishes like a true mad scientist! For a full day Gin tasting look no further than our own Gin tour. Chocolate pairings, food pairings... and of course gin! Enjoy sipping away on this delicious liquid heaven.